I’ve always been a sucker for matcha. I’m not sure what it is; I’m not necessarily drinking it for the health benefits. I have no idea what quality of matcha Starbucks normally uses but I find the flavour pretty mild and pleasant. I’ve always loved tea and matcha has this gentle earthiness to it that I find so soothing. Plus it’s such a vibrant green and green makes everything happier. 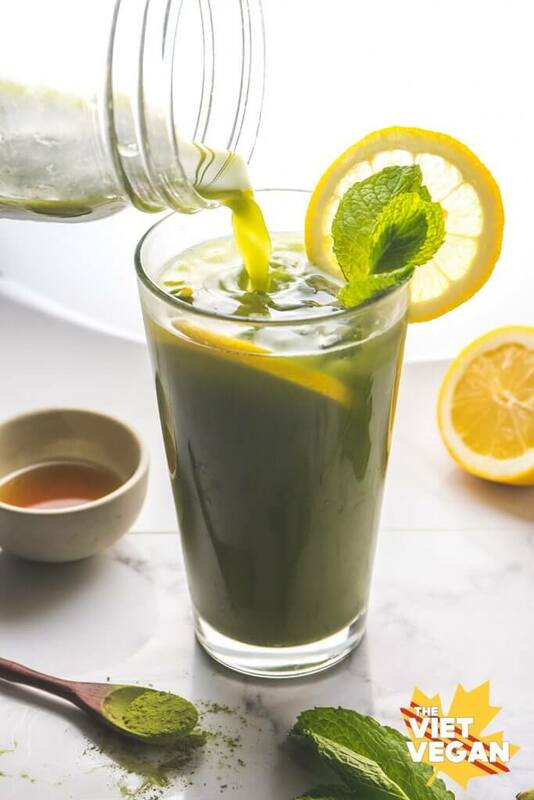 I’ve shared two different versions of my favourite matcha drinks: a super simple vegan matcha latte and a slightly more complicated but refreshing and delicious matcha lemon mint iced tea that will hydrate the heck out of you. We all need a little extra hydration. And who am I kidding, everyone’s a little happier with a bit of caffeine too. So far in our wedding planning adventures, Eddie and I have looked at what seems like a hundred of venues online, visited a handful of venues in person, been disappointed by almost every caterer and narrowed down our guest list. We’re looking at 80 people–so not a huge wedding, but not a tiny one either. We found our photographer, who is actually an old highschool friend, and we’ve picked a venue but we have yet to officially book it (gotta fill out and send in the application is all). I’ve also made these adorable little bridesmaid kits that I can’t wait to give to my chosen few: I can’t share too many details about them yet because I haven’t given them out yet (going to see one of them this weekend!) and I’ve chosen my maid of honour, but I’m waiting on a little something special so I can officially ask her :) All of my closest friends are so happy and excited for me, and after the initial stress of it all, all the pressures of the wedding seem too far and insignificant to matter right now. Although I’m sure that’ll change. The one thing I have noticed is that certain people have treated me slightly differently since I told them that Eddie and I got engaged. It’s kind of funny, how having a simple ring on your finger changes the way people treat you. Like all of a sudden, they can’t get what they want from you, despite nothing has changed because I was always committed in the first place. I know I’m naive, and I’ve been told I always try to find the best in people even when there’s really not anything worth holding out for in the first place, but in this case, seeing the sudden change kind of shocked me. I didn’t think I was THAT bad at reading people. I guess it’s for the best in the end, I just didn’t think I could be that easily fooled. It’s making me a bit more cautious and suspicious, and it makes me feel vain and weird and uncomfortable to think that people would want something from me even when I’m in a committed relationship and I have been for a long time. I’m finding myself more reserved, more private and less likely to want to share every little detail with people I talk to from time to time. Although weirdly enough, I still feel comfortable enough to be open here. Maybe it’s because I still just assume very few people read my words and scroll straight down to the recipe. I also assume that most people in my life are too busy to read my blog haha. In my mind, it’s still just my mom reading, but obviously that’s not true. 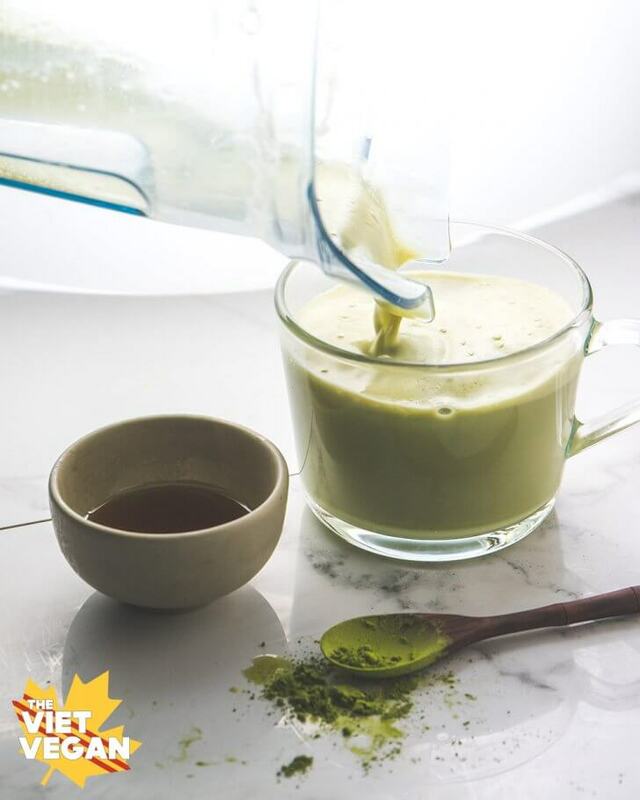 To make the matcha latte, combine soy milk, maple syrup, and matcha powder in a high speed blender. You can bring the soy milk to a gentle simmer on the stove before adding to the blender. Blend on the "hot" mode until you get your desired temperature (about 5 minutes if starting with cold soy milk, about 45 seconds on high if using hot milk). 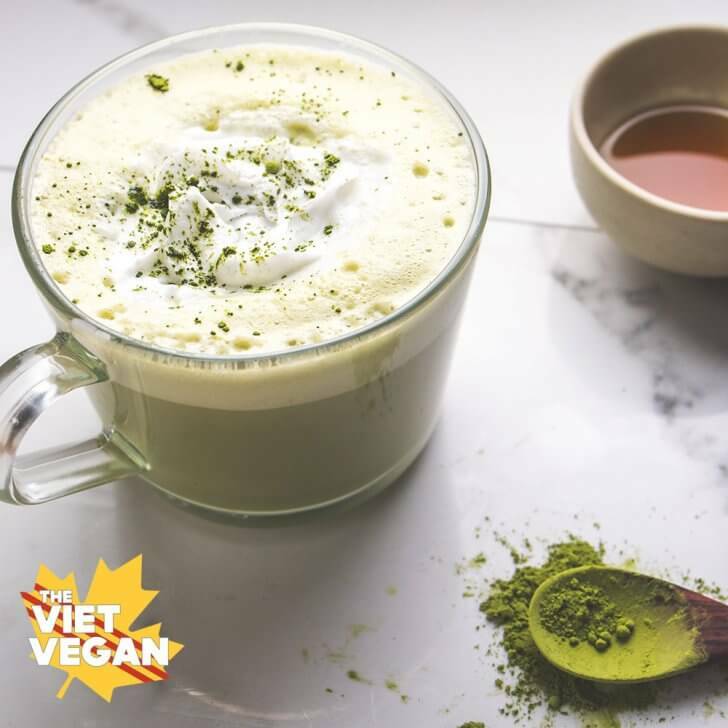 Serve immediately, for a treat add coconut whip and a sprinkle of matcha for garnish! 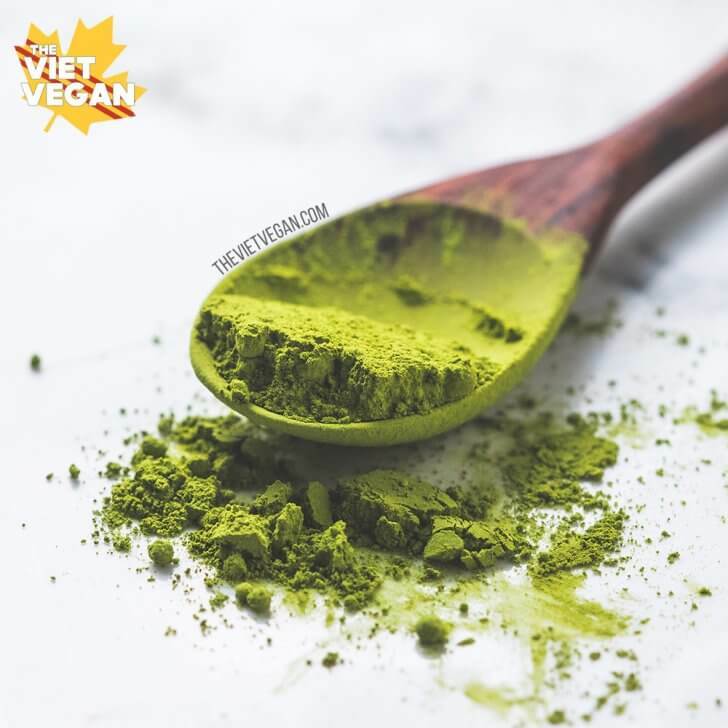 In a cocktail shaker or mason jar with a lid, add water and matcha powder and shake until matcha is dissolved. Add ice, maple syrup, lemon juice and shake well to incorporate and chill iced tea. 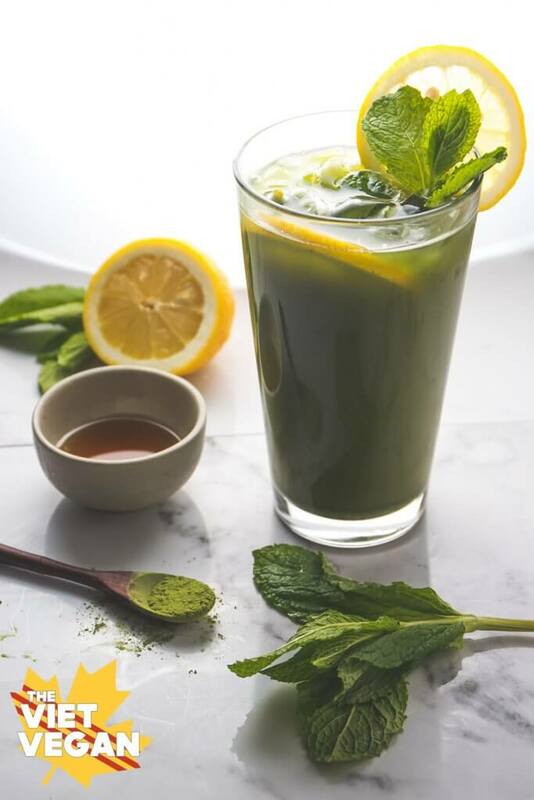 In a large glass, muddle 1 sprig of mint leaves with more ice OR simply bruise the leaves by twisting them with your fingers. 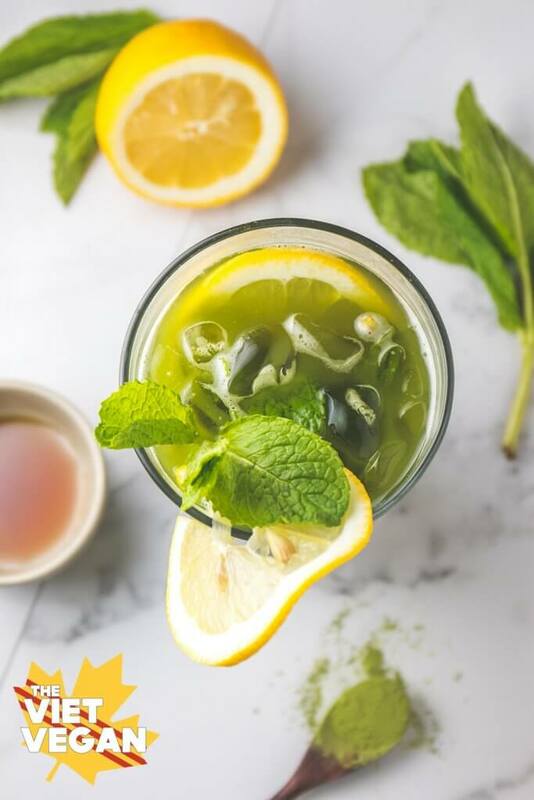 Pour over iced tea and garnish with 2 slices of lemon and a sprig of mint leaves. Enjoy! Yummy matcha. Congratulations to you and Eddie!